ABC has decided to revive BattleBots. The original series, which ended in 2002, ran for five seasons and 94 episodes on Comedy Central. It covered five BattleBot tournaments of homemade robots fighting each other. The six new episodes are expected to air this summer. 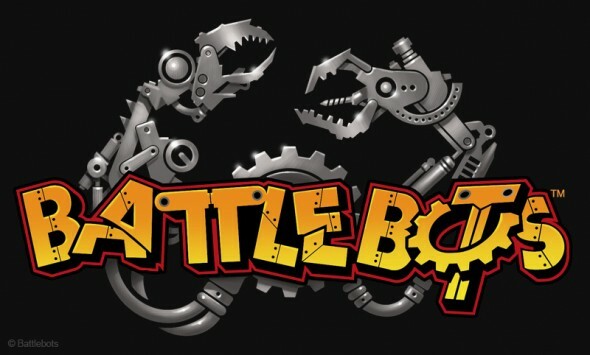 ABC has picked up “BattleBots,” a reimagined take of the killer robot combat sport from Whalerock Industries and the creators of the original “BattleBots” franchise, Ed Roski and Greg Munson. The homeade robots will battle against each other, in a single elimination tournament style format, until there is one champion. The six episode series is anticipated to air this summer. MGM Television, which has a development deal with Whalerock Industries, will be distributing the program internationally. The new series promises to wow viewers with next generation robots – bigger, faster and stronger than ever before. The show will have a greater emphasis on the design and build elements of each robot, the bot builder backstories, their intense pursuit of the championship and the spectacle of the event. Separate weight classes will be eliminated so that robots of all sizes will battle against each other. State of the Art Onboard Technology and Cameras will provide audiences with enhanced viewing and combat analytics. There will be cash prizes for winners in the Championship Rounds. Whalerock Industries, formerly BermanBraun, was founded eight years ago and is a media and technology company creating innovative content experiences across all platforms. Whalerock’s digital properties reach approximately 70 million people and include Wonderwall.com, Mandatory.com, Mom.me and Moviefone.com (in partnership with AOL). The company has television and films in development and production across the media landscape. What do you think? Do you remember the original series? Will you check out the new BattleBots show on ABC? More about: BattleBots (2000), BattleBots (2000): canceled or renewed?, BattleBots (2015), BattleBots (2015): canceled or renewed? Better yet. Man vs machine. Who will win each week? A real life terminator prequel. I can’t wait !!! My husband and I never missed an episode of the original series. Something to look forward to ; help us get through all this snow. I hope this is the beginning of a few more seasons. Excellent decision !! I liked the original series and look forward to this one. I like! I just hope it doesn’t go over the top and get too futuristic/advanced in tech.